Texting while driving results in serious car accidents every day. Many Floridians continue to text behind the wheel despite the fact that doing so has been outlawed. A number of drivers assume that they can operate a vehicle safely while reading or sending a quick text, and that they will never be caught for violating the ban. Although such drivers may be correct in their thinking that texting bans are difficult to enforce, all drivers who text face a significantly increased risk of being involved in a car accident. One Fort Meyers man has made national news after he recently caused a car accident while texting. The man was lucky to emerge from the crash without serious injuries. On Jan. 4, the 23-year-old was behind the wheel of a Pontiac Grand Am when he began swerving to the far side of his lane and back on Veronica Shoemaker Boulevard in Fort Meyers. Police noticed the erratic driving and began to follow the vehicle. Less than one minute later, the driver turned onto Dr. Martin Luther King Jr. Boulevard, where he soon drove onto a sidewalk, striking a bus stop sign, tree and guardrail. The car then rolled over, and the driver was able to crawl out of the wreckage. The Fort Meyers Police Department has released video footage of the incident from the police cruiser’s dashboard camera, and the video has been shared by a number of media outlets nationwide. The driver has been cited for texting while driving and careless driving. His actions, however, could have led to much more severe consequences. Texting while driving can cause deadly car accidents. When texting is a factor in a car accident, victims can often hold texting drivers accountable for their injuries. 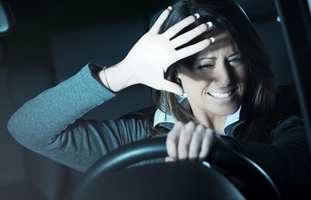 Those who have been injured in distracted driving accidents may benefit from legal counsel.